In October, November and December, 1934, Stokowski and the Philadelphia Orchestra began their Autumn series of recordings for Victor, beginning October 8, 1934. This was at the same time that Stokowski opened the 1934-1935 Philadelphia Orchestra season with concerts Friday afternoon, Saturday and Tuesday evenings October 5, 6 and 9, 1934. This also would be an active period of recordings in Victor's Camden Church Studio. The Philadelphia Orchestra concerts of October - December featured several works which Stokowski and the Orchestra would also record during that period. These were: Bach - Es ist vollbracht BWV 245 in the Stokowski orchestration from the concerts of October 12, 13 1934, three Stokowski arrangements from the October 24, 1934 Young People's Concert: the Frescobaldi Gagliarda, the Vivaldi Concerto grosso opus 3 no 11, and the Adoramus te, Christe attributed to Palestrina. Also from the concerts of October 26, 27, 1934, Stokowski's arrangement of Handel's Water Music, and from the concerts of November 2,3,6 1934, the Tchaikovsky Symphony no 5. Stokowski's orchestration of the Bach - Toccata and Fugue in d was performed at the concerts of November 23, 24, 27 November 1934 and then recorded, as was Stravinsky's Pastorale and the Tchaikovsky Nutcracker Suite on December 12, 1934. During this same October to December 1934 period, Stokowski and the Philadelphia gave the premier of the Rhapsody on a Theme of Paganini opus 43 , written during the summer of 1934 in Switzerland by Serge Rachmaninoff. This premier was given at concerts in Baltimore and Washington DC November 7 and 8 1934 with the composer at the piano. Then, at the December 24, 1934 Camden recording session, Rachmaninoff, Stokowski and the Philadelphia Orchestra made the famous milestone recording of this new work. 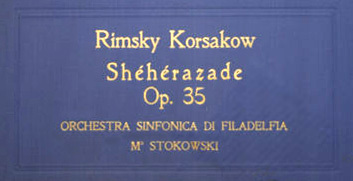 Leopold Stokowski and the Philadelphia Orchestra continued their 1934 recording program on October 8, 1934, and with a 'make-up' session on November 12, 1934 recording another Stokowski specialty: 'Schéhérazade' opus 35 by Nicolai Rimsky-Korsakov. This was recorded in the Camden Church Studio no 2, using a somewhat larger orchestra than in previous Camden recordings, with 75 musicians (although a concert performance would likely be about 96 musicians). 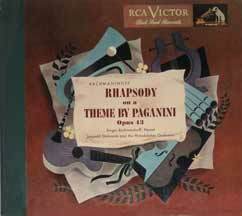 This recording was issued in early 1935 in Victor Musical Masterpiece album M-269. The album contained six 12 inch (30 cm) Victor Red Seal disks 8698, 8699, 8700, 8701, 8702, 8703. In Europe, it was issued on HMV DB 2522, DB 2523, DB 2524, DB 2525, DB 2526, DB 2527. The matrices were CS 84513, CS 84514, CS 84515, CS 84516, CS 84517, CS 84518, CS 84519, CS 84520, CS 84521, CS 84522, CS 84523 and CS 84524. This is an ethereal and evocative performance, with virtuoso performances, including the violin solos of Alexander Hilsberg, and his gifted colleagues, Walter Guetter, bassoon, Marcel Tabuteau, oboe, William Kincaid, flute, and Arthur Berv, horn. However, for me, it perhaps lacks the last measure of the magic of the legendary 1927 Stokowski - Philadelphia recording of Schéhérazade. Recall also that Stokowski and the Philadelphians made remarkably successful acoustic recordings of the last two movements from this work in at the dawn of acoustic orchestral recording. On May 9, 1919 and March 25, 1921, they recorded 'The Festival at Baghdad', and 'The Young Prince and Young Princess'. 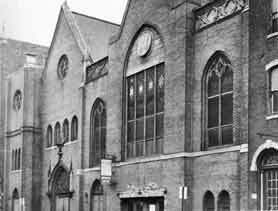 This recording was also made in the acoustically dead Camden Church Studio number 2, rather than in the Academy of Music, Philadelphia, which was the recording location for the 1927 Schéhérazade. In the restoration provided in the mp3 links below, Marcos Abreu has opened up the recording, providing an ambiance that restores 'air' around the beautiful performances of the Philadelphia musicians. The Camden Church Studio was designed with acoustic insulation to be acoustically 'dead', somewhat like the famous (infamous) Studio 8-H of Toscanini recordings. This reduced reverberation may have aided recording, but it removed much of the acoustical atmosphere surrounding this great orchestra. This restoration for me reveals orchestral detail, particularly of the inner instruments, which I had not previously heard. The bass of this restoration is also particularly effective, giving the solid bass structure Stokowski always sought, without the 'boomy' or muddy bass often found in these recordings made in the Camden Church Studio. Now, we can concentrate on enjoying the music, without the distractions which often come from the intrusions of the defects inherent in these recordings from more than 75 years ago. Thanks Marcos. The mp3 restorations provided in the links below are of the four movements of Schéhérazade. Part 1, starts with the brass (the sultan) contrasting with the sensuous violin (Schéhérazade) telling her tale of the sea, and of Sinbad the Sailor. Part 2 tells the story of the Prince of the Kalenders, who is a royal Prince disguised as the head of the Kalender dervishes. The music features the violin solos of Concertmaster Alexander Hilsberg, and his wonderful colleagues, Walter Guetter, bassoon, Marcel Tabuteau, oboe, William Kincaid, flute, and Arthur Berv, horn. 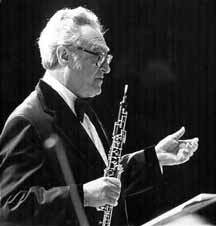 The clarinet solo in Part 2 is by Robert McGinnis, and his performance moves the music in circles, similar to the dances of the dervishes which the music depicts. In Part 3, Schéhérazade, the violin tells the tale of the love between the Young Prince and the Young Princess. This more lyrical movement begins quietly, and builds up to a climax with cymbal crashes to an emotional conclusion. In Part 4, Schéhérazade introduces the Festival at Baghdad, with wild and wilder dancing, accompanied by percussion. The music then transitions to the further story of Sinbad and the Sea, introduced by brass, and depicting Sinbad's ship crashing up onto the rocks. The music then becomes quiet and lyrical, with Schéhérazade's theme reentering, and the music becoming quiet. Perhaps the sultan has fallen asleep, as is Schéhérazade's intention. Click below to enjoy Marcos Abreu's restoration. 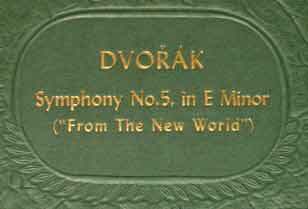 Dvorak Symphony no 9 in e minor, opus 95 'From the New World' Only about 34 musicians were used for this recording in the Camden Church Studio, but the microphone placement, probably supervised by Stokowski, was particularly effective in presenting the picture of a larger group. Also, in this recording, the Victor engineers used the overlapping recording technique, where the last few seconds of one side are repeated during the first seconds of the next side. This was done by using multiple disk cutting machines simultaneously, with the objective of reducing the disruption to the music of side changes. However, it also presents added complications in the dubbing and restoration of this recording (made from both HMV and Victor pressings). This is a good performance, but for me, perhaps lacking in the transcendental magic of the famous 1927 recording of the Dvorak 9 which was one of the wonders of early electrical recording. This 1934 recoding does have certain advantages. First, although recorded in the Camden Church Studio the sound is open and pleasing. Also, the reduced complement of musicians seems to add a precision of attack and ensemble generally superior to the recorded orchestral standards of the 1920s and 1930. Symphony orchestras of the US and Europe of that era often lacked the highest degree of ensemble and precision and beauty of playing. Even the great German and UK orchestras as we can hear them in their recordings do not reach the playing standards found today even in regional orchestras. By this time, the Philadelphia Orchestra under Stokowski had achieved an admirable level of artistry. Listen for example to the artistry of the Marcel Tabuteau oboe solo in the second movement --- one of the finest, and most exposed examples of his distinctive art. Or listen to the woodwinds and strings in the central portion of movement 3; exhilarating. This 1934 recording was issued on five 12 inch Victor Red Seal disks, and in Britain on HMV disks DB 2543, DB 2544, DB 2545, DB 2546, DB 2447, matrices CS 84525, CS 84526, CS 84541, CS 84542, CS 84543, CS 84544, CS 84545, CS 84546, CS 84547, CS 84548. Victor presented these in their Musical Masterpiece album M-273, issued in early 1935. 1934 Ippolitov-Ivanov - "In the Manger"
In 1918, an English-language edition of "Folk Song Carols for Christmas" was published in America and included several by Russian composers, one of which - entitled 'In the Manger' - was ascribed to Ippolitov-Ivanov. In 1932, Stokowski made a very simple arrangement of this carol but rather curiously deleted the reference to Ippolitov-Ivanov and later published it himself as "Traditional Slavic Christmas Music". Stokowski had regularly championed the music of Mikhail Ippolitov-Ivanov (1859-1935), performing particularly music from the suites entitled "Caucasian Sketches", opus 42, including at his public conducting debut in Paris 12 May 1909, as well as in his London concert one week later. He performed music from the Caucasian Sketches in every Cincinnati season, and regularly in Philadelphia. 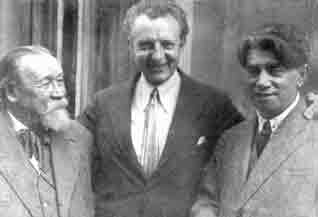 Also, during a trip to the Soviet Union three years previously, Stokowski had met Mikhail Ippolitov-Ivanov. Although the music of Ippolitov-Ivanov, including the Caucasian Sketches, is not frequently performed today, as in all great interpretations, Stokowski shows the music of this composer to be inspired and able to move the listener, the ultimate test of the music and the performance. This recording was issued on Victor 10 inch (25 cm) Red Seal disc 1692 side A, matrix BS 84549-1 and later 84549-1A coupled with the 28 October 1933 Chorale Prelude 'Ein feste Burg ist unser Gott' and in Japan on JE-10 side B with 'Ein feste Burg'. Following the Dvorak and Ippolitov-Ivanov recordings on October 22, 1934, Stokowski and the orchestra turned to Bach, orchestrated by Stokowski. This was his orchestration of Es ist Vollbracht !, aria number 58 (or movement 30) from Bach's St. John's Passion BWV 245, in a Stokowski orchestration. Bach's original score was for a (boy) Alto singer, accompanied by viola da gamba, plus two violins, a viola, and continuo, of course far less than the full strings and winds used by Stokowski. This original text can be heard in a wonderful 1950 performance by Peter Schreier, then only 14, and before his successful professional career, with Anton Spieler, cello and Hans Otto, organ continuo and conductor Rudolf Mauersberger. Click on the link below to hear the beauty of Bach's music which inspired Stokowski's arrangement and orchestration. Listen to the beautiful duet solos of Marcel Tabuteau, oboe, Walter Guetter, bassoon, and Robert Bloom, English horn. Robert Bloom (1908-1994), a oboe and English horn student of Marcel Tabuteau at the Curtis Institute, was English horn of the Philadelphia Orchestra 1930-1936 and later, Principal oboe of Arturo Toscanini's NBC Symphony Orchestra. This Bach recording was issued by Victor on two sides of a 10 inch Red Seal disk, Victor 8764 matrix BS 84553-1 and BS 84554-1, both being the first takes of each side. During the October 22, 1934 recording session, Stokowski and the Philadelphia Orchestra recorded this piece on a 10 inch (25 cm) Victor Red Seal disc Victor 1985 matrix BS 84555-1. In Europe, EMI published this recording on HMV disc DA 1606, coupled with the Adoramus te, Christe attributed to Palestrina. On November 12, 1934, Stokowski and the Philadelphia Orchestra began an intensive day of recording, including 7 different works. This recording session began with Stokowski's interpretation of the Tchaikovsky Symphony no 5 in e minor, opus 64. There is beautiful bassoon playing by Walter Guetter in his brief contribution to the second movement of this Tchaikovsky Symphony no 5. Stokowski makes cuts in the finale of the fourth movement, as was his habit. However, this is a performance mostly free of the mannerisms and speeding up and slowing that sometimes detracted from Stokowski's performances of Tchaikovsky late symphonies. This recording was issued in the Victor Musical Masterpiece album M-253, containing six disks, 8589, 8590, 8591, 8592, 8593, 8594. Matrices were CS 84558, CS 84559, CS 84560, CS 84561, CS 84562, CS 84563, CS 84564, CS 84565, CS 84566, CS 84567, CS 84568, CS 84569. On November 12, 1934 Stokowski recorded his transcription of the Concerto grosso no 11 from the opus 3 L'estro armonico by Vivaldi. Since the 1950s and 1960s, the music of Vivaldi has become familiar to the general public, with his set of four violin concerti The Four Seasons seemingly heard all the time, including in elevators and advertisements. However, in the 1930s this was not the case, with only two recordings of The Four Seasons existing on 78 RPM albums and by unknown groups on secondary labels (Parlophone and Concert Hall Society) listed in the definitive World's Encyclopedia of Recorded Music (WERM) 7. The eleventh concerto from Vivaldi's "L'estro armonico" did somewhat better during the 78 RPM era, with eight recordings listed in WERM, including a Koussevitzky / Boston Symphony recording of the orchestration by Alexander Siloti (1863-1945) and this 1934 recording in the transcription by Stokowski. Stokowski's transcription calls for a very large orchestra, although this Camden Church Studio recording used only about 60 musicians. However, as well as the full string section, Stokowski includes significant parts for the Philadelphia winds. The slow and contemplative second movement Largo features an evocative duet between Marcel Tabuteau oboe and William Kincaid flute. The lush recording of the Vivaldi Concerto grosso was issued on two Victor Red Seal 12 inch (30 cm) discs Victor 14113, 14114 and in Europe by EMI on HMV DB 6047 and DB 6048. Matrices were CS 84570-1, CS 84571-1, CS 84572-1, CS 84573-1, again, all first takes. 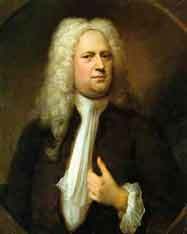 1934 - George Frederick Handel - Suite from the "Water Music"
Also during this intensive 12 November 1934 recording session in Camden, Stokowski and the Philadelphia Orchestra recorded his transcription of music of George Frederick Handel. This was of the Suite from the Handel "Water Music", first performed on the Thames river in 1717 as a concert for Handel's patron, King George I. Prior to Stokowski's transcription, Handel's music had previously been arranged for symphony orchestra, most well-know in a suite orchestrated by Sir Hamilton Harty (1879-1941). Harty made orchestrations of several Handel works including this "Water Music" suite in 1922, the "Royal Fireworks" in 1924, and various other chamber, organ and opera music by Handel in the 1920s and 1930s. Handel at about the time of the "Water Music"
This Suite seems to have used some of the solutions of the version by Sir Hamilton Harty, but further changed by Stokowski particularly in the use of woodwinds. The movements selected for this Suite are marked: 1. allegro, 2. air, 3. bourrée, 4. hornpipe, 5. andante espressivo, 6. allegro deciso. In about 1960, Stokowski further revised his transcription of Handel adapting it closer to what we would regard today as being closer to baroque performance scholarship. This performance has some of the negative aspects (in my opinion) of other of Stokowski's 1930's transcriptions of baroque music. This is not simply a reaction to the lack of what we currently regard as "correct" baroque performance practices, tuning, original instruments, and other practices now favored. Rather, the performance has a tendency toward a heaviness that contradicts the music's festive purpose and bubbling nature. The strings swoop, and the rhythm rises and falls. However, there is also some animated playing and the virtuosity of the Philadelphia Orchestra never fails to give pleasure. Also, the performance is more to current tastes than, for example Stokowski's reading of the Bach Brandenburg Concerto no 2 . Stokowski in Baroque music sometimes seems not to accept a simple ending as written, which is no exception here. The ending of the final allegro in this performance is transformed towards a sort of Technicolor apotheosis. I believe Hamilton Harty did this well in his recordings, although of course we should not expect what has become our idea of 'correct' performing practice either in the Harty or Stokowski performances of that era. Stokowski later, beginning in about the 1960s demonstrated not only that he continued to innovate and experiment, but that his performance style for the baroque would become at least the equal of leading conductors of the 1960s and 1970s in this music. You can evaluate and judge for yourself by clicking on the music links below. This recording was issued on two 12 inch Victor Red Seal disks 8550, 8551, matrices CS 84574-1, CS 84575-1, CS 84576-1, CS 84577-1, all first takes. In Europe, it was issued by EMI as HMV DB 2528 and DB 2529. On this busy recording day of November 12, 1934 in the Camden Church Studio, Stokowski and the Philadelphia Orchestra recorded his orchestration and adaptation of 'Adoramus te, Christe', which has been attributed to Giovanni Pierluigi da Palestrina (1525 or 1526-1594). This is a motet in four voices, which Stokowski likely performed on the organ. 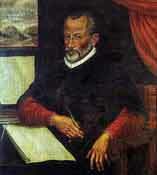 "...I have been asked if others did not orchestrate the pieces such as the Frescobaldi or Palestrina...' 2. Smith identifies Stokowski as the orchestrator of these two pieces, confirmed by the Stokowski score collection. Some have suggested Fritz Stein (1879-1961), a musicologist, and colleague and biographer of Max Reger (1873-1916) who did orchestrate some baroque works, including Gabrieli's Sonata pian e forte from the 'Sacrae symphoniae', which Stokowski recorded. Fritz Stein was also the discoverer of the manuscript of the so-called 'Jena Symphony', once thought to be a work by Beethoven. H. C. Robbins Landon later demonstrated that the 'Jena Symphony' was by Friedrich Witt (1770-1837). However, the Frescobaldi and Palestrina orchestrations were by Stokowski as shown by the Stokowski manuscripts in the Library of the University of Pennsylvania. This orchestration of 'Adormaus te' was issued on a Victor 10 inch (25 cm) disk, matrix BS 84578-1, in two versions. 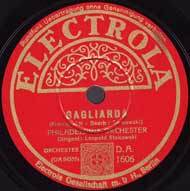 In Europe, EMI issued it on HMV DA 1606, coupled with the Frescobaldi Gagliarda. This 'Adormaus te' recording, dubbed from the 10 inch matrix to a 12 inch matrix was also issued in the 1940s as a filler of a 12 inch (30 cm) Victor Red Seal disk 15206 B, coupled with the final side (which previously had been blank) of Stokowski's 'Symphonic Synthesis' of Tristan und Isolde - Acts 2, 3 (disk 15206 A) contained in Musical Masterpiece album M-508. It was also included as the final side of Victor Musical Masterpiece album M-963 Bach Transcriptions for Orchestra, which included also the 1934 Bach "Es ist vollbracht", the 1939 Chorale Prelude "Ich ruf' zu Dir, Herr Jesu Christ", the 1939 Bach Trio Sonata no 1 in E flat, and the 1937 Bach Prelude and Fugue in e minor. On 12 November 1934 in the Camden Church Studio no 2, Stokowski and the Philadelphia Orchestra recorded the fourth movement, marked 'Minuetto' of the Brahms Serenade no 1. This movement has seemed to have had a performance history separate from the full Serenade in performances by a number of conductors. In the USA for example, it was recorded on 78 RPM records by Stock and the Chicago Symphony and by Gabrilowitsch and the Detroit Symphony and by Leo Blech in Europe. In this recording, only about 40 Philadelphia Orchestra musicians were used. This performance was issued on two sides of a 10 inch (25 cm) Victor Red Seal disc 1675 matrices BS 84579-1 and BS 84580-1. In Europe, EMI issued the recording on a 10 inch disc HMV DA 1462. During the 12 November 1934 recording session, Stokowski and the Philadelphia Orchestra recorded music prepared by Prince Hidemaro Konoye (1898-1973). This was called Etanraku - Japanese Ceremonial Prelude for this recording. Prince Konoye was a creative and innovative spirit, who achieved a number of innovations in recording and in the development of music. Hidemaro Konoye made the first full recording of the Mozart Sinfonia Concertante in E flat major K297b, and recorded it in 1937, with no less a group than the Berlin Philharmonic. "...Konoye was a great conductor in the first age of Japanese Classical Music world. 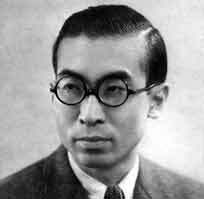 He founded the 'New Symphony Orchestra of Tokyo' - later the NHK Symphony Orchestra, today, He recorded the first recording of Mahler's 4th Symphony in May, 1930 in Japan. 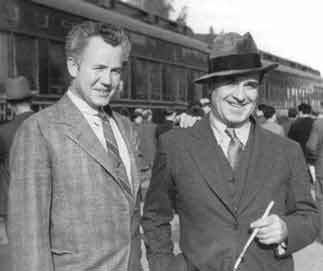 He created friendship to Erich Kleiber, Leopold Stokowski and many other famous conductors in Europe and USA. [In} The early days of NBC Symphony, he get chair of conductors with Artur Rodzinski and Charles Munch. He planned US tour which was supervised by Stokowski, but due to begun of World War 2, his plan was missed. He went to Germany and conducted Berlin Philharmonic Orchestra in second half of 1930s. He died in 1972. 1 "
In November 1926, Stokowski and the Philadelphia Orchestra recorded a beautiful performance of the Suite from Tchaikovsky's ballet The Nutcracker, one of the earliest totally successful electrical recordings of a full symphony orchestra. This album, the 1926 Victor Musical Masterpiece M-3 was a best-selling album for a number of years. In 1934, Victor decided to replace this album with a new recording, which was accomplished on 26 November 1934, almost exactly 8 years after the 10 November 1926 recording of the Nutcracker Suite. This recording was made in the Camden Church Studio no 2, and in spite of not benefiting from the superior acoustics of the Philadelphia Academy of Music has good sound. As with many of the 1930s re-recordings of the music Stokowski had recorded 1926-1929, this 1934 Nutcracker in some ways lacks, perhaps the final level of magic of the great 1926 performance. However, the sound is superior, and it may be that the precision and ensemble of the orchestra is yet better than in the 1926 recording. It is a fine and satisfying performance. 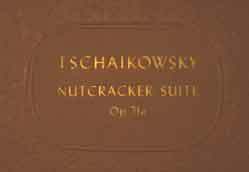 The critic David Hall, writing in 1942 still found this 1934 Nutcracker Suite to be the finest of the available recordings: "...Stokowski's is still the best version of this popular and still delightful ballet music..." 4. Writing in April 1940 reviewing available recordings, the Gramophone concluded: "...Probably Stokowski's full-dress recording holds the field here..." 5. In a later Gramophone review of the many Stokowski recordings in the April 1946 issue wrote of this recording: "...His recording of the Nutcracker Suite, one of the all-time best sellers of the Victor catalogue, is a fine example of Stokowski in his more contained and literal moments..." 6. This Nutcracker Suite recording was issued on three Victor Red Seal 12 inch (30 cm) disks 8862, 8863, 8864,in Victor Musical Masterpiece album M-265. This recording was issued in Europe on HMV DB 2540, DB 2541, and DB 2542. (I have used both Victor and HMV pressings). Matrices are CS 87000-1, CS 87001-2B, CS 87002-5, CS 87003-1, CS 87004-1, CS 87005-1 . 1934 - Siegfried - "Symphonic excerpts"
On 26 November 1934, Leopold Stokowski and the Philadelphia Orchestra recorded another Stokowski transcription of portions of a Wagner opera. This recording was again recorded in the Camden Church Studio with a reduced complement of musicians. All the recorded sides were first takes, a tribute to the artistry and craft of the musicians. This Stokowski selection of Siegfried excerpts consisted of the brief music from the Act 1 scene where Wotan disguised as a Wanderer asks questions of the dwarf Mime. It then transitions to Siegfried's Forging Song, then to the famous "Forest Murmurs" and then to the finale of the opera in Act 3, where Siegfried discovering Brunnhilde within the ring of fire kisses her, waking her from her magic sleep. 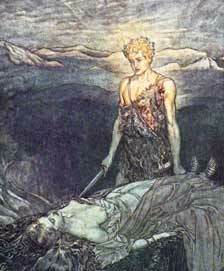 Brunnhilde is won by the love of Siegfried. She renounces the immortal world of the gods, and together they sing of their "light-bringing love, and laughing death." In this performance, Agnes Davis is Brunnhilde and Frederick Jagel is Siegfried, each of whom give a satisfactory performance, although Agnes Davis seems at time somewhat strained. The overall recording is superbly conducted by Stokowski in a majestic and solid performance, with the great beauty of the Philadelphia Orchestra at the height of their powers in the 1930s. This recording was made in the Camden Church Studio number 2 and issued on three 12 inch (30 cm) Victor Red Seal discs 14845, 14846, 14847-A or 16423-A, 16424, 16425, matrices CS 87015-1, CS 87016-1, CS 87017-1, CS 87018-1, CS 87019-1 in Musical Masterpiece album M-441. In Europe, EMI issued the recording on HMV DB 3678, DB 3679, DB 3680. Notice again that these are all first takes of the orchestra. Click here to listen to (or download) 1934 Siegfried "Symphonic excerpts"
Christmas eve, 1934 was a busy day for Victor, Stokowski and the Philadelphia orchestra in the Camden Church Studio no 2. They recorded two concerti: the Rachmaninoff Rhapsody on a Theme of Paganini and the Sibelius Violin Concerto. Both the Rachmaninoff with Rachmaninoff at the piano and the Sibelius with Heifetz as soloist were from the first take of each 78 RPM side. 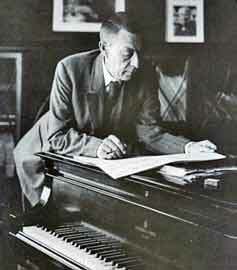 The Rachmaninoff Rhapsody on a Theme of Paganini was composed in Rachmaninoff's summer home in Switzerland in the summer of 1934. Stokowski, the Philadelphia Orchestra and Rachmaninoff premiered the work in Baltimore, Maryland at the Lyric Opera House on November 7, 1934. So, this recording, made on Christmas Eve, 1934 was only months following the premiere. Although Rachmaninoff was clearly a renowned composer, as well as piano virtuoso, this Rhapsody on a Theme of Paganini seems to have had the effect to remind the public that Rachmaninoff was first of all a gifted composer, and second, a re-creative artist. What more can be said about this great and legendary recording?. It is one of the landmarks of recording history, and further immortalizes this great composer and performer. And Stokowski and the Philadelphia Orchestra are fully the equals to Rachmaninoff in their contribution to this landmark recording. Since it was issued in 1935, this recording has never been out of the catalogue. It has been made available in virtually every recording format since its issue on 78RPM disks (including on 8-track tape!). Modern restorations include Ward Marston's superb artistry in the award-winning 1992 RCA/BMG Rachmaninoff Edition (for which he was not given sufficient credit at the time), and more recently by Mark Obert-Thorn on Naxos (Naxos 8.110602); both highly recommended. This recording was made in the Camden Church Studio number 2 with 70 musicians of the Philadelphia Orchestra, and issued on three Victor Red Seal 12 inch disks, Victor 8553, 8554, 8555 with matrix numbers CS 87066-1, CS 87067-1, CS 87068-1, CS 87069-1, CS 87070-1, CS 87071-1, all in album M-250. Also on Christmas eve December 24, 1934 Stokowski and the Philadelphia Orchestra made another famous recording. However, it was one not released by Victor, and never heard except within the last decade. This was the recording of the Sibelius Violin Concerto in D minor, opus 47 of 1904 with Jascha Heifetz. The recording, although a fiery performance by both Heifetz and Stokowski was not released until a single copy was used in the 1999 Philadelphia Orchestra, The Centennial Collection CD release, overseen by Mark Obert-Thorn, with musical restoration by Ward Marston. "...According to Ward Marston, who learned of this from a member of the Orchestra who played in the session, Heifetz at one point asked Stokowski to have the violins play more softly in a particular passage in order to lend greater definition to the solo line. Stokowski - who loved manipulating the knops of a recording console almost as much as conducting itself - felt this request an intrusion upon his prerogative to balance the sound. Therefore, in a gesture rather foreign to the Christmas spirit, he addressed the Orchestra saying 'Everyone else, play louder. Violins, you stay the same.' 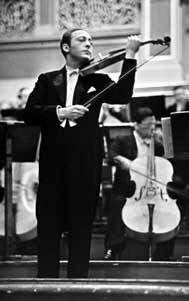 Understandably, Heifetz was not amused, and he subsequently refused to approve the finished recording for release." 4 Stokowski's track record with star soloists was sometimes a test of competing artistic wills ! Second - in the Chronological Discography page. For example, links to a 1926 recording are also found in the electrical recordings chronological discography page: Chronological Discography of Electrical Recordings This page lists all the electrical recordings from 1925 to 1940 made by the Philadelphia Orchestra conducted by Leopold Stokowski and issued by Victor, including of course the 1926 recordings. The mp3 files in this site are (usually) encoded at 128 mbps. This means that the files are of different sizes, according to the length of the music. For example, the second electrical recording, the April 29, 1925 Borodin ‘Polovetzki Dances’ is small (3.6MB). In contrast, the 1929 Le Sacre du Printemps file is large. Le Sacre du Printemps part 1 is 14MB and Le Sacre du Printemps part 2 is 16MB. This means that a large file will take a longer time to download, depending on your internet connection speed. Please keep this in mind when you click to listen to - download a particularly music file. You may click the link to the music file, but need to wait a number of seconds or even minutes to listen to the file. To read about Canon Rangefinder Cameras 1935-1968, click here. 1 'Braveheart' music site. Mozart: Sinfonia concertante KV 297b	Published by braveheart@bh2000.net. 1998-2003. 3 page 18. Philadelphia Orchestra, Stokowski: Es ist vollbracht (Bach). HMV DB2762 (12 inch, 6 sides).. Gramophone Magazine. London. June, 1936. 4 page 68. Hall, David. The Record Book. Smith & Durrell. New York. 1942. 5 page 18. Nutcracker Suite (Tchaikovsky). Gramophone Magazine. London. April, 1940. Smith & Durrell. New York. 1942. 6 page 11. Pastene, Jerome. Leopold Stokowski. Gramophone Magazine. London. April, 1946. 7 Clough, Francis F. and Cuming, G. J. World's Encyclopedia of Recorded Music (known as "WERM"). Sidgwick and Jackson, Ltd. London, UK. 1952.